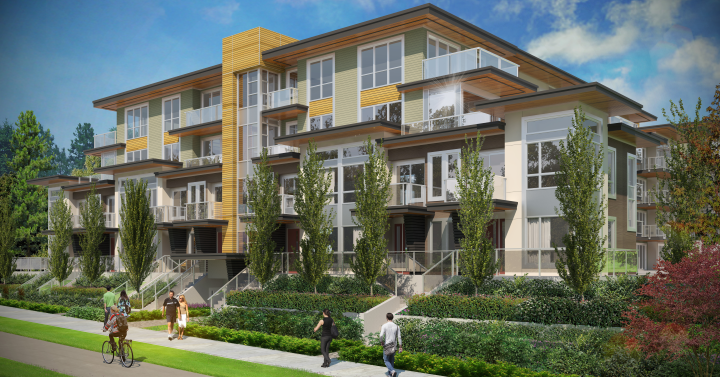 Cameron is a collection of four-storey residences, city homes and stacked townhomes nestled within a quiet residential neighbourhood of Lougheed Town Centre. All desirable big city amenities are found within a short walk including shopping, restaurants, schools and SkyTrain. This tranquil creekside community will be move-in ready in 2017 . Visit the presentation centre at 150A – 3355 North Road in Burnaby , open daily from noon – 6pm (excecpt Fridays). Reflective of Burnaby’s expansive parks and stunning mountains, Seasons showcases the best in West Coast contemporary styling. This limited collection of four-storey residences and townhomes will be coming soon to the Brentwood Town Centre neighbourhood this Fall.